We have some of the most skilled experts in the industry with over 250 years of combined service experience. Do you need help tracking down the right parts, a manual or other information about your pressure washer? Give us a call. 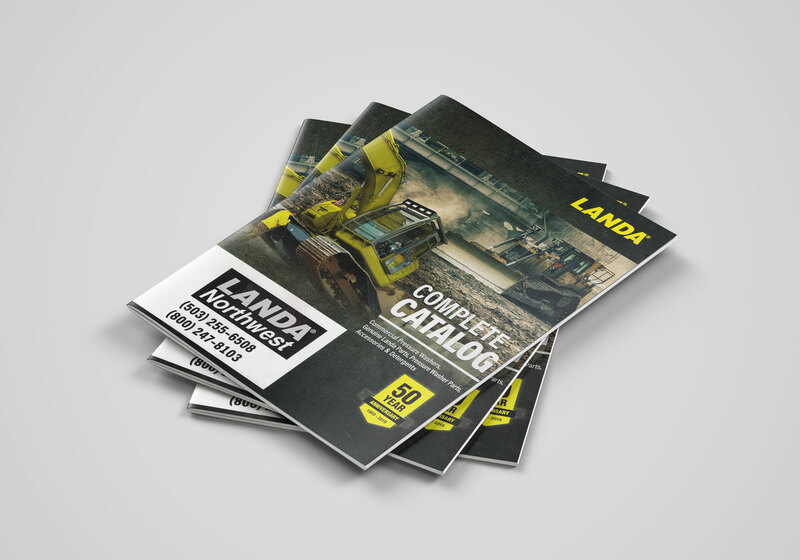 Click here to download our full 272 page PDF catalog. In it you'll find additional information about all of our parts and equipment as well as linked part numbers that will take you to the right place on our website so you cean easily buy the parts you need. Through decades of manufacturing experience and with thousands of satisfied customers, Landa Kärcher Group has become the most trusted pressure washer name in the industry. We offer more industrial-grade power washer models than any other brand in North America. Water Maze water treatment systems are engineered to meet the clean water demands that many manufacturing and industrial companies face. Federal and state regulations prohibit organizations from discarding their wastewater and wash-water into public sewers and streams in order to protect water reserves and the environment as a whole. To meet these requirements, Water Maze branded solutions are tailored to each customer’s specific wastewater management application using an array of products and advanced technologies. Combined with our extensive network of local supporting dealers, Water Maze is your best partner for wash water and industrial water treatment systems. Landa Kärcher Group offers an assortment of pressure washer accessories for the professional user to speed cleaning. Most are designed with quick connections to easily attach to your pressure washer. These include flat surface cleaners to clean sidewalks, garages and entryways faster and with less fatigue. 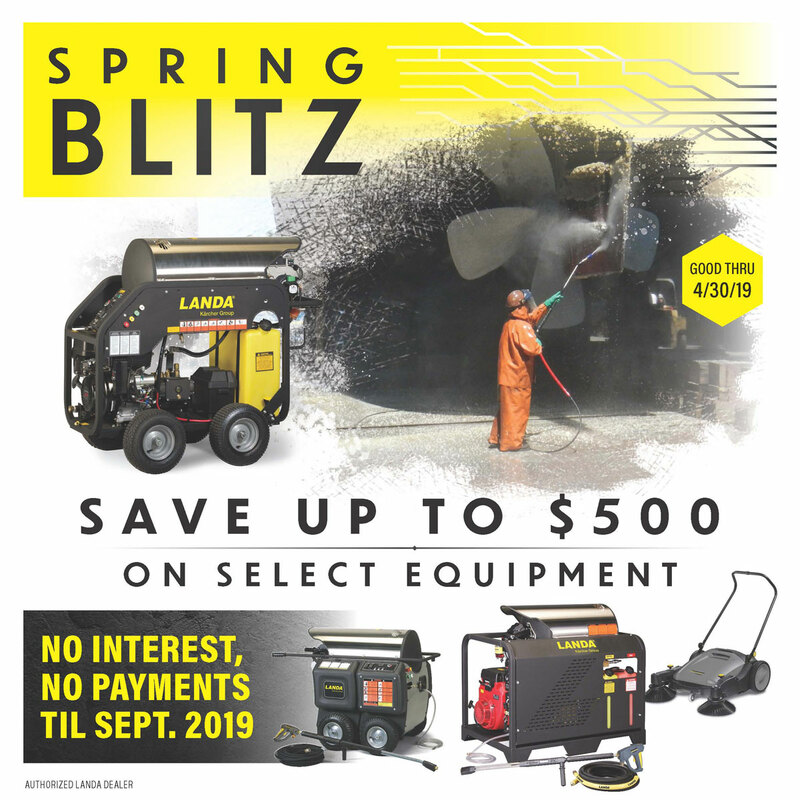 Turbo nozzles to remove caked-on dirt in no time, hose reels to protect and store high-pressure hoses, variable pressure wands to apply soap without having to change nozzles, and sandblasters which help strip paint. Are you trying to decide if a hot water pressure washer is worth the extra cost? This video helps break down the differences with real world comparisons to show you the difference. At Landa Northwest we pride ourselves on having the best customer service in the industry. We will always go above and beyond to keep the equipment you depend on running like the day you bought it. Learn more about the steps we take to ensure you have an amazing service experience in this video. For more than a decade, the PGHW has been Landa’s most popular gasoline powered, hot water pressure washer. It combines the versatility of a compact size yet the ruggedness and cleaning power of a full-skid pressure washer. The five PGHW models deliver cleaning power of up to 5000 PSI with a flow rate of up to 5 GPM. Watch this video to learn what makes the PGHW the industry leading pressure washer.